21 pre-scheduled meetings with agents of your choice. Full access to the Marcom online scheduling system. Profile and listing in the handbook given to each Brazilian agent & university. Networking lunches on both days of the event. Ticket to the Gala dinner and networking cocktails. Access to discounted hotel accommodation. 13 pre-scheduled meetings with attendees of your choice. Full access to the Marcom online meeting scheduling system. Profile and listing in the handbook given to each high school counsellor. Ticket to the networking luncheon. Ticket for the evening networking reception. 6 metre square (3m x 2m) fully fitted exhibition stand with table, two chairs, carpet, lighting & electricity. 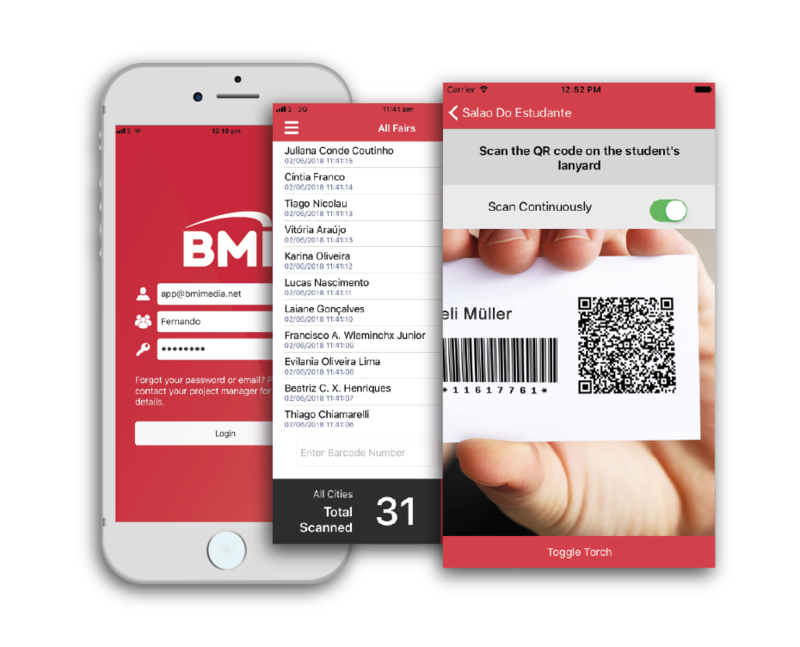 The BMI SmartScan app to collect & manage student data & leads. Marketing campaign to support your course level & destination. Logo, profile & video on the official fair website. ExpoPos is a stand-alone event in Sao Paulo and combined with Salao do Estudante in both Rio locations. 50% discount on the BMI Agent & Higher Education Workshop Brazil.